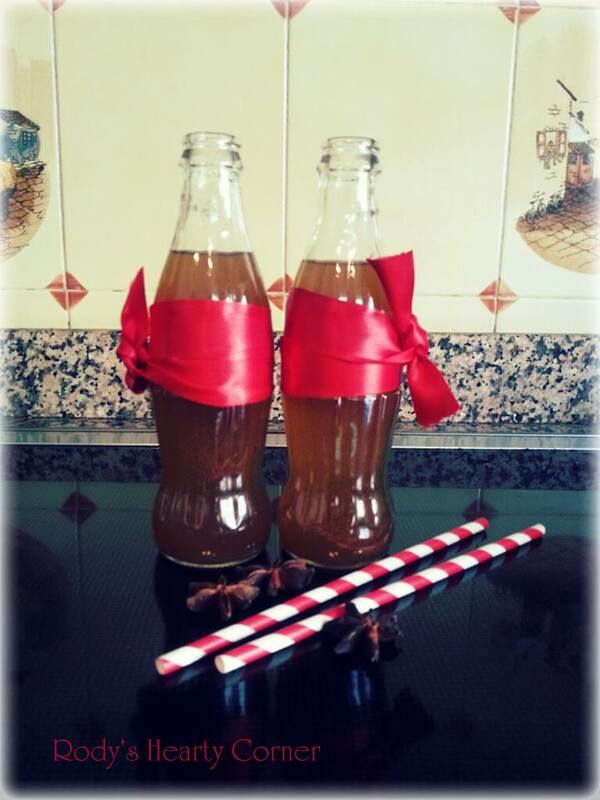 Do you know what is one of the secret ingredient in the famous cola drink? It is lavender. I never imagined that such an unhealthy drink would contain lavender or any of the other fantastic spices. The idea for making this drink came after watching Chef Michael Van de Elzen from the TV series “The Food Truck” making a healthier version. I made some slight modifications and my version turned out to be a rather healthy and nutritious drink. I still do not know what the real ‘coke’ ingredients are since the label only indicates natural flavorings, among the sugar, color and phosphoric acid. Rumors say that not even the real coca-cola contains the kola nut itself. I am not a fan of fizzy drinks so I cannot really judge how my version tastes however I can tell you that whilst cooking the ingredients there was a very similar smell (judged also by my members of the family). The result is a similar taste, which more likely resembles the cola bottle gummy sweets rather than the coke drink itself. All my tasters liked this Cola drink and considered it very tasty knowing that it was made at home by a health-conscious, against refined sugar chef. Let me know what you think if you try it out. Stir in the orange zest, lemon zest, lime zest, ground coriander, lavender, star anise, vanilla seeds, cinnamon stick, ginger and nutmeg in a saucepan with 2 cups warm water. Bring to a boil and after 5 minutes simmer for a further 15 minutes. While simmering, add 1/2 cup maple syrup and the 1/2 teaspoon coffee. When ready remove from heat and add the 1/2 cup of honey. Stir well to make sure the honey has melted completely. Filter the liquid mixture through a sieve. This will be the syrup base for your drink. Use one part of the syrup with 5 parts sparkling water. You may wish to add more to make a stronger flavor. I had 350ml syrup. Where did you find the lavender? Hey Pauline, I bought them online, make sure you buy edible ones not lavender for potpourri.